TOKYO (Feb 23): U.S. oil futures rose nearly 1 percent on Thursday after data released by an industry group showed a surprise decline in U.S. crude stocks as imports fell, lending support to the view that a global glut is ending. 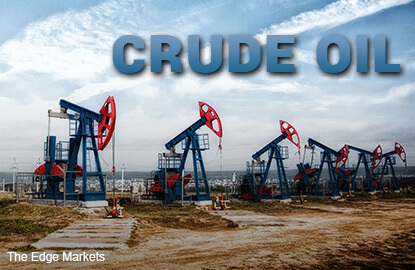 The U.S. West Texas Intermediate crude April contract added 41 cents, or 0.8 percent, to $54.00 a barrel at 0011 GMT. Brent crude was yet to trade. It ended 82 cents, or 1.5 percent, lower at $55.84 a barrel on Wednesday. Crude inventories fell by 884,000 barrels in the week to Feb. 17 to 512.7 million, compared with analysts' expectations for an increase of 3.5 million barrels, data from industry group the American Petroleum Institute showed on Wednesday. Crude stocks at the Cushing, Oklahoma, delivery hub were down by 1.7 million barrels and U.S. crude imports fell last week by 1.5 million barrels per day (bpd) to 7.398 million bpd, according to the API. Refinery crude runs fell by 182,000 bpd, the data showed, while gasoline stocks dropped by 893,000 barrels, largely in line with analysts' expectations in a Reuters poll.